PlayGround has announced its 20th season line-up, including an all-new season of Monday Night PlayGround at Berkeley Rep, the 18th PlayGround Festival of New Works, and co-productions of several full-length plays originally commissioned and developed by PlayGround. 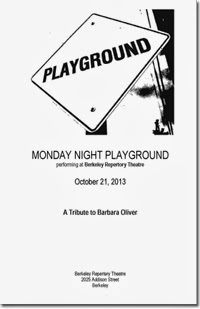 Monday Night PlayGround, the Bay Area’s largest staged reading series, opens on Monday, October 21 at Berkeley Repertory Theatre with a special tribute to the late Bay Area icon and longtime company and board member Barbara Oliver. Tickets are $15 ($20 for priority seating) and six-admission Introductory Subscriptions start at just $60. For tickets and more information, visit http://PlayGround-sf.org. The monthly Monday Night PlayGround series will continue its growing success at Berkeley Repertory Theatre on third Mondays, from October through March (note: the January round will take place on January 13). Two Fridays before the designated Monday, a topic is announced to PlayGround’s selected pool of local playwrights, who then have until 2pm the following Tuesday to submit a short script (some of last season’s topics included “Play Ball,” “End of Days,” and “Fearful Symmetry” presented in partnership with the Mathematical Sciences Research Institute). A panel of judges selects six winners, whose entries are cast by the following weekend and then rehearsed with the area’s best professional actors and directors in a whirlwind 90 minutes each before being performed as script-in-hand stage readings. After the Monday Night Series concludes, a panel will revisit and re-evaluate the 36 scripts produced throughout the season and, at the PlayGround Benefit & Awards Night on April 7, 2014, six scripts will be chosen for the 2014 Emerging Playwright Awards. Also announced at the benefit will be the winners of PlayGround’s new play commissions: the annual June Anne Baker prize, honoring a distinguished female playwright, and the PlayGround Fellowship (the 2013 commissioned writers, announced at last April's benefit, are JAB Prize Winner Amy Sass and PlayGround Fellows Ruben Grijalva and Jonathan Spector). 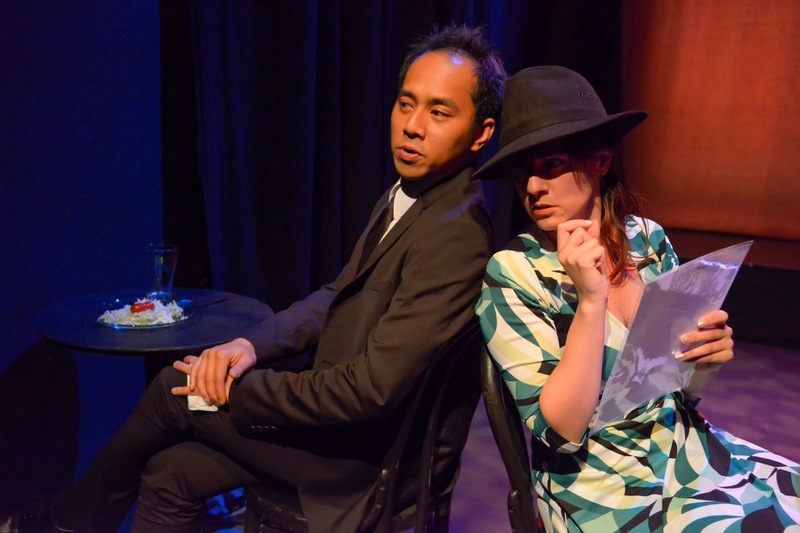 Emerging Playwright Award winners will receive an honorarium, publication in the annual script anthology, and a fully-staged production as part of the 18th PlayGround Festival of New Works, May 8-25, 2014, being held at Thick House in San Francisco. PlayGround will also support the world premiere of several new full-length plays by PlayGround alumni this season through its ground-breaking New Play Production Fund, which has supported more than a dozen premieres over the past seven years. Projects already announced include Ken Slattery’s The Shakespeare Bug (produced by Killing My Lobster and running through September 29 at Stage Werx; killingmylobster.com), Evelyn Jean Pine’s First (co-produced with Altair Productions and The Aluminous Collective, October 10-November 3, at Stage Werx; firsttheplay.com) with 2-3 more plays to be announced later this fall. At PlayGround’s 20th Season Kick-Off this past Monday, PlayGround Artistic Director Jim Kleinmann introduced the 2013-14 PlayGround Writers, including the 30 members of the Writers Pool and 20 Resident Playwrights. It’s PlayGround’s largest playwright company ever and represents an increasing commitment to serving and representing the Bay Area’s best new playwrights. Among the writers are 15 new members, including Arielle Brown, Rachel Bublitz, Madeleine Butler, Tanya Grove, Andrew Hsieh, Colin Johnson, Inbal Kashtan, Melissa Keith, Sal Mattos, Lorraine Midanik, Madeline Puccioni, Andrew Saito, Dylan Waite, Steven Westdahl, and Zoe Young. Returning pool members are William Bivins, Patricia Cotter, Victoria Der, Ruben Grijalva, Leah Halper, Sang Kim, Karen Macklin, Jordan Puckett, Amy Sass, Josh Senyak, Kirk Shimano, Cleavon Smith, Aimee Suzara, Jeff Wincek, and Maury Zeff. PlayGround Resident Playwrights, representing some of PlayGround’s most distinguished alumni and a Who’s-Who of Bay Area writers, include Trevor Allen, Crish Barth, Tim Bauer, Cass Brayton, Erin Bregman, Garret Groenveld, Daniel Heath, Brady Lea, Aaron Loeb, Jonathan Luskin, Katie May, Evelyn Pine, Kenn Rabin, Mandy Hodge Rizvi, Robin Lynn Rodriguez, Diane Sampson, Ken Slattery, Martha Soukup, Tom Swift, and Ignacio Zulueta. PlayGround, the Bay Area’s leading playwright incubator and theatre community hub, provides unique development opportunities for the Bay Area’s best new playwrights, including the monthly Monday Night PlayGround staged reading series, annual PlayGround Festival, full-length play commissions and support for the production of new plays by local playwrights through the New Play Production Fund. To date, PlayGround has supported more than 185 local playwrights in the development and staging of over 650 original short plays and 48 new full-length plays, with 3 more commissions currently in development. For more information, visit http://playground-sf.org. WHAT: PlayGround, the Bay Area’s incubator for the next generation of playwrights, has announced its 2013-14 season. Occurring monthly, October-March, the popular Monday Night PlayGround series presents short works from new and emerging playwrights each month at Berkeley Repertory Theatre, featuring the best of the Bay Area’s professional actors and directors in short rehearsed staged readings. The culmination of the year’s hard work, the 18th PlayGround Festival of New Works will take place May 8-25, 2014 at Thick House in San Francisco. Now in its 20th season, PlayGround is dedicated to supporting the development of new local voices for the theatre. The season opens October 21 with a special tribute to the late Barbara Oliver. TICKETS: 6-admission Introductory Subscriptions to the Monday Night PlayGround series are just $60.00 (a 50% savings off priority seating). Individual tickets for each Monday Night PlayGround are $15 ($20, priority seating) and can be purchased online or at the door. Student and group discounts available. For more information about the Monday Night PlayGround series, the PlayGround Festival or any of our upcoming co-productions, call (415) 992-6677 or visit www.PlayGround-sf.org. PlayGround announces a new season of playwriting classes for Bay Area playwrights from beginners to advanced, beginning Monday, October 7 at the PlayGround PlaySpace in South Berkeley (BART-accessible and plenty of free parking). Monday Night Intensives are monthly three-hour classes, led by leading playwrights and other members of the Bay Area theatre community, addressing various aspects of playwriting craft. A new expanded three-hour format will allow for a more hands-on experience and deeper investigation of class material. All classes take place on first Mondays, October through March, at the PlaySpace. Advance registration is required and is $50 per individual class with 6-class subscriptions available for $180 (40% savings) and a Pick-3 subscriptions for $120 (20% savings). PlayGround Resident Playwright Daniel Heath will offer a new round of his celebrated multi-part Short Play Workshop on Wednesday evenings, November 13 and November 20 and concluding on Monday evening, November 25, all at the PlaySpace. Early-bird registration for this ten-hour hands-on workshop is available through October 13 at $180 (10% savings). After October 13, registration is $200. To register for the Monday Night Intensives and/or Daniel Heath’s Short Play Workshop, visit http://playground-sf.org/register.shtml. Which came first - the character or the actor who plays it? Meet some of the most intriguing and talented voices of the Bay Area Stage and find out what happens when playwrights and actors collaborate to bring a story to life. Come and dialogue with PlayGround Associate Director Annie Stuart and leading local actors about new writing, being written for and about, and how actors fuel the economy of language and deepen the theatrical journey. Use playmath tactics to deconstruct what's funny, how it's funny, why it's funny, and what comedy can do that drama wishes it could do. “There is nothing new in art except talent.” –Anton Chekhov. Join PlayGround Resident Director and frequent adapter Jon Tracy on adaptations and how to reimagine classic stories and characters. Join seven-time Best of PlayGround participant and Resident Playwright Aaron Loeb for this three-hour intensive on the short play. Compassion for and understanding of characters is so essential to writing three-dimensional characters (especially villains), creating compelling plots, and giving actors a place to work from. Learn how to create compelling bad guys in this three-hour intensive with four-time Best of PlayGround playwright Daniel Heath. NOTE: Daniel will also lead the three-part “The Art and Craft of the Short Play” workshop in November (see below). Some playwrights think the play is done when they type "End of Play." Some work and work and feel like the play is NEVER done. How can you know? Learn to check these vital signs that your play is ready to come to life. This three-session workshop will cover the fundamentals of short playwriting. The workshop will provide an introduction for newcomers to the form and practical exercises for veterans to refine their skills. Once we have our characters, something has to happen. That sounds simple, but like most things that really matter you can spend the rest of your life working on it. We'll talk about how to find a story, how to recognize it when you've found it, and how to turn a story into a well-structured play. We'll also talk about your audience (that all-important final partner of theatrical productions) and how to plan the journey that we're asking them to take. Anthony Clarvoe has received the American Theatre Critics, Will Glickman, Bay Area Theatre Critics, LA Drama Critics, Elliot Norton, and Edgerton New American Play awards; fellowships from the Guggenheim, Irvine, Jerome, and McKnight Foundations, NEA, TCG/Pew Charitable Trusts, and Kennedy Center; commissions from South Coast Rep, Mark Taper Forum, and Playwrights Horizons; and the Berrilla Kerr Award for his contributions to American theater. Productions include Pick Up Ax (South Coast Rep, San Jose Rep), The Living (Denver Center), Let’s Play Two (South Coast Rep), Ambition Facing West (Trinity Rep, Theatreworks), Ctrl+Alt+Delete (San Jose Rep, George St. Playhouse), The Brothers Karamazov (Cincinnati Playhouse, Circle X), Show and Tell (Rep Theatre of St. Louis), and Our Practical Heaven (Aurora Theatre). His plays are published by Broadway Play Publishing, Inc. The Art of Sacrifice is forthcoming from Random House in the anthology Plays for Two. Anthony is a regular instructor at the Playwrights Foundation amd Stagebridge. Aaron Loeb is a playwright and video game maker. His work has been extensively produced by PlayGround and other theaters around the country. His full-length plays First Person Shooter and Abraham Lincoln’s Big Gay Dance Party were premiered at SF Playhouse and subsequently around the country and his play, Blastosphere, co-written with Geetha Reddy, premiered at CentralWorks. Annie Stuart has served as casting director for PlayGround for the past fourteen seasons and in 2005 was named the company’s first Associate Director. As a freelance casting director, her other credits include Marin Theatre Company, Center REP, Bay Area Playwrights Festival, San Francisco and Los Angeles Shakespeare Festivals, Brava! for Women In The Arts, Theatre Rhinoceros, and Z Space Studio, among others. For the camera, she has cast Falcon Crest, An Inconvenient Woman, Midnight Caller and The Two Mrs. Grenvilles. She has taught at San Jose State University, The Bennett Theatre Lab, Center REP, the College of Marin, Marin Theatre Company and for Theatre Bay Area. Jon Tracy works as a director, playwright, designer and educator with such companies as Shotgun Players, San Francisco Playhouse, Magic Theatre, Marin Theatre Company, American Conservatory Theatre, and Aurora Theatre, among others, and is a PlayGround Resident Director and Company Member. His work frequently involves adaptation, both as a writer and a director. To register, visit http://playground-sf.org/register.shtml. For more information, visit http://playground-sf.org/classes.shtml. 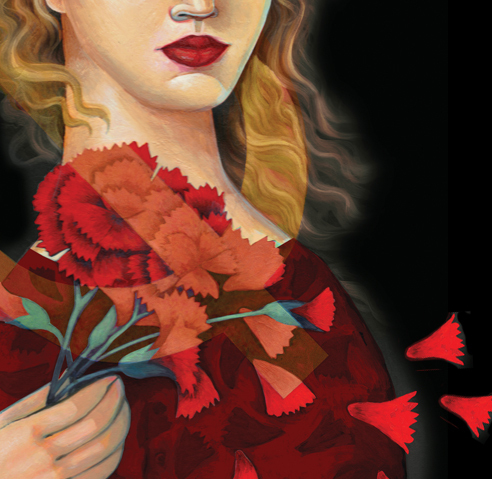 Joy Carlin is opening Amy Herzog’s After The Revolution this week at Aurora (http://www.auroratheatre.org). She’ll be directing John Patrick Shanley’s new play, Storefront Church, at San Francisco Playhouse later this fall. You can still catch Joy opposite Cate Blanchett in Woody Allen’s BLUE JASMINE on the big screen this month. Tracy Ward is directing What Every Girl Should Know by Monica Byrne for its West Coast Premiere at Impact Theater, running Sep 7-Oct 13. Christopher Chen has won Vineyard Theatre's 2013 Paula Vogel Playwriting Award. Robert Sicular is back in town and starting rehearsal at TheatreWorks for Warrior Class, directed by Leslie Martinson and opening in October. Gabriel Grilli and Anthony Williams are hosting a fundraising gala for their company, BrickaBrack, on Saturday evening, Sep 28 at the Temescal Art Center in Oakland. Gwen Loeb will be starting rehearsals soon for Pauline in A BRIGHT NEW BOISE at the Aurora, running Nov 8-Dec 8. Aaron Wilton is performing in Clybourne Park at Capital Stage Company (http://www.capstage.org/), running Sep 4-Oct 6. Carla Pantoja and Anthony Nemirovsky, joined by Julian Lopez-Morillas and Armando McClain will be in a reading of Robert Reich's play Milton and Augusto, directed by Joy Carlin, Monday, Sept 16 at 6pm at the Pacific Film Archive Theater. Ron Campbell is opening in Moscow this week with Cirque du Soleil. He will be reprising his role in R. Buckminster Fuller, The History (and Mystery) of the Universe at the San Jose Rep in January. Aimee Suzara had a successful work-in-progress showing of her play A HISTORY OF THE BODY in partnership with the Oakland Asian Cultural Center in May 2013, with support from the National Endowment for the Arts, City of Oakland Cultural Funding Program, and the East Bay Community Foundation. Keep an eye out as plans will begin brewing for its World Premiere. Suzara was one of twenty Bay Area artists awarded a micro-commission by the Yerba Buena Center for the Arts towards her work in 2013-2014. She was also accepted as a Theater Bay Area ATLAS for Playwrights participant. Aimee's debut poetry book, SOUVENIR, will be released in February 2014 (WordTech Editions). Tracy Held Potter co-wrote Babies, the Ultimate Birth Control: Terrifyingly Hilarious Plays about Parenting, which will be presented at the SF Fringe (sffringe.org) beginning Saturday, Sep 7 at 4pm. Directed by Elena Wright, the program includes Tracy’s short play, PRINCESS AUDREY, from the 2012-13 Monday Night PlayGround. Elena Wright can also be seen in Marin Shakespeare’s A COMEDY OF ERRORS, running thru Sep 29.